Tyre pressure checks are essential, and not just because you want to avoid flat tyres! 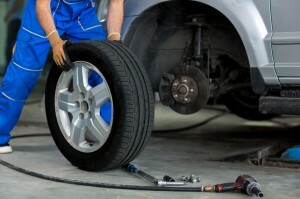 If your tyres aren’t inflated enough, your car will require much more fuel, and you’ll spend a lot more money. Checking this every couple of months could potentially save you hundreds of pounds each year. Oil changes aren’t as frequently required as they were – a benefit of superior modern cars – but they’re still necessary every 8,000-10,000 miles. Bad oil can damage your engine, which is why this is essential. Oil changes are more than doable at home, but bring your car to us if you’re unsure. Brake pads are one of the more expensive things to change in a car, so it’s understandable that some people like to avoid thinking about issues! However, if you don’t replace them, the brakes can start to wear down your rotators, and they’re REALLY expensive to replace. If you start to hear a squeak, get your car checked out. Wipers are probably the easiest and cheapest thing to replace on your car, but you’ll be amazed how many people don’t bother. Bad wipers can actually affect your visibility during bad weather, however, so don’t underestimate them. 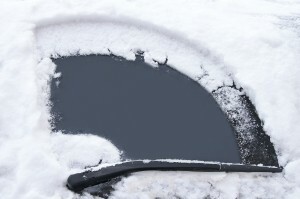 Use better quality wiper blades and swap them every six months or so. Oil is probably the most well-known fluid ‘check’. However, less experienced motorists might not realise there are a number of other fluids you should have checked every few months or so: you’ll want to look at your coolant, your brake fluid and your transmission fluid in addition to your oil. None of these services are that expensive, and not doing them can lead to long-term damage that really can be pricey! Again, take care of the little things and your car is less likely to suffer from further damage down the line. If you need car body repairs in London, pick up the phone and call us today. We’d love to hear from you.